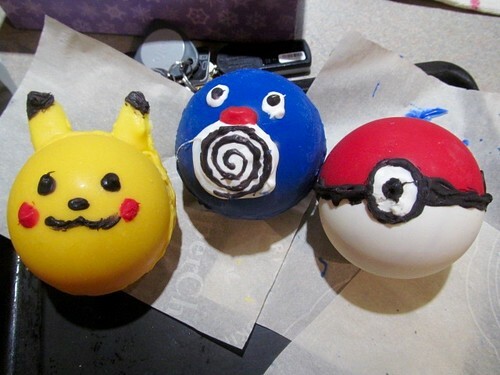 I’d been dying to make these Pokémon candies since Scott sent me the video of how to make them. Well, it was Cath’s birthday the other day and that seemed like the perfect excuse to try out the recipe! 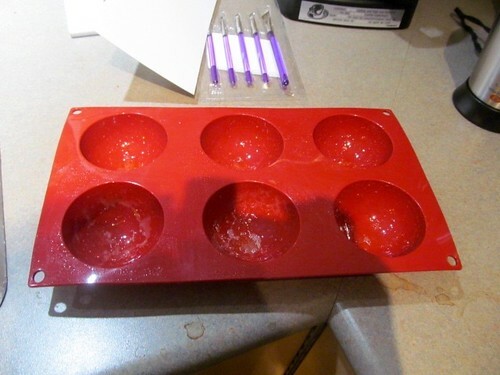 Really, all you need to make these are some candy melts and silicone half-sphere mould. The former were pretty easy to find (I got them on sale at Michael’s craft store, but later discovered you can also buy them in bulk at the Bulk Barn), whereas the latter were more difficult. We checked every kitchen store in the area, plus Michael’s, Canadian Tire, Winners, and London Drugs and found silicone moulds in every shape other than half sphere. In the end, I had to resort to ordering it from Amazon! 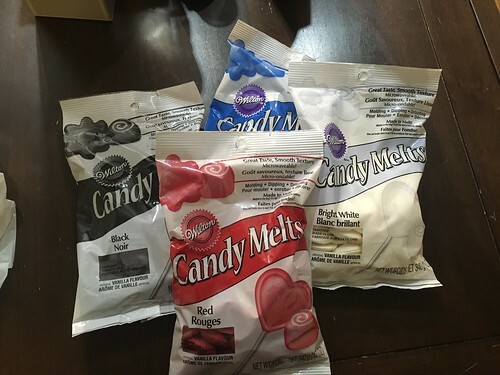 Candy Melts are available in just about any colour you can imagine! Then all you had to do was melt the appropriate colour Candy Melts, coat the mould with it and stick it in the freezer. In ~15 minutes, they popped right out and were all beautiful and shiny! 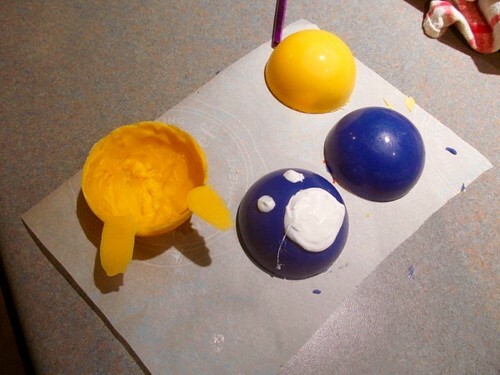 We made two yellow half spheres to make Pikachu, two blue half spheres to make a Polliwag, and one red & one white half sphere to make the Pokéball! 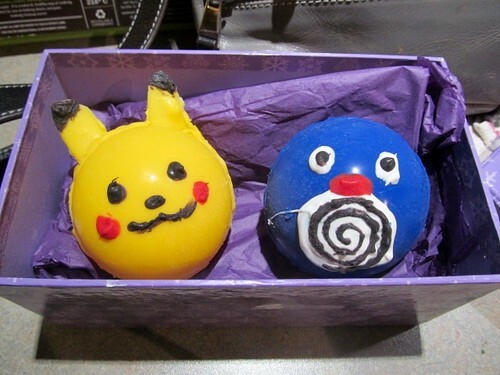 Then we made some ears for Pikachu1 and then, using food safe paint brushes and melted Candy Melts of various different colours, decorated them up. 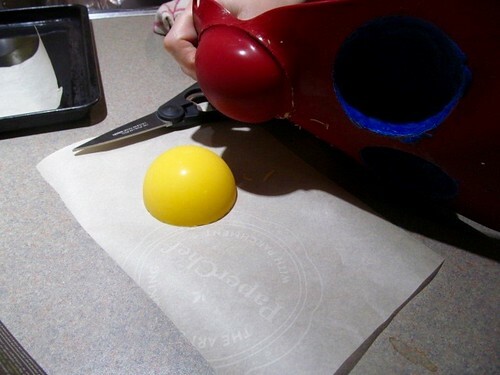 Then you use the remaining melted Candy Melts to glue the two halves together and you are good to go! 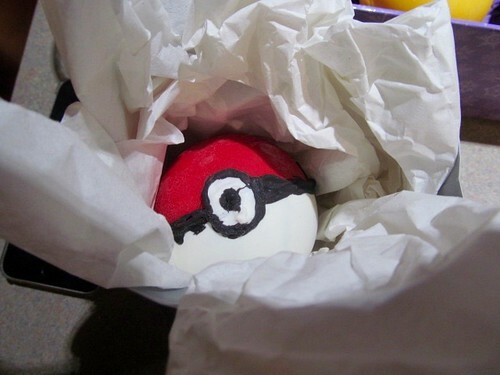 The original video shows you how to make them as piñatas, but I didn’t think it would be nice to smash a poor innocent little Pokémon! 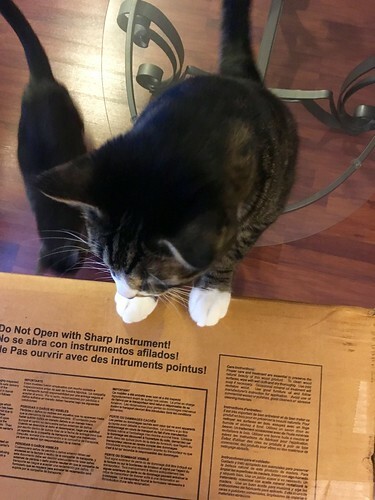 Well, at least until you are going to eat it. 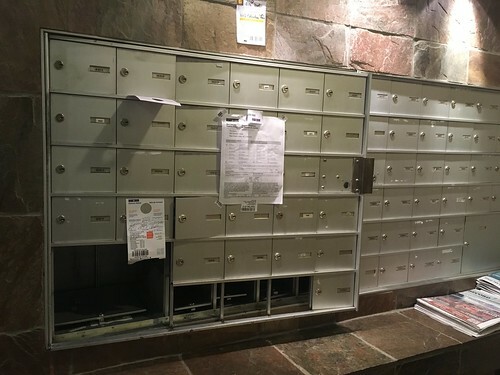 Way back in the old time-y days of 2016, the mailbox in my building got broken. Apparently it was quite old and it had been repaired several times, but this time it was no longer repairable. 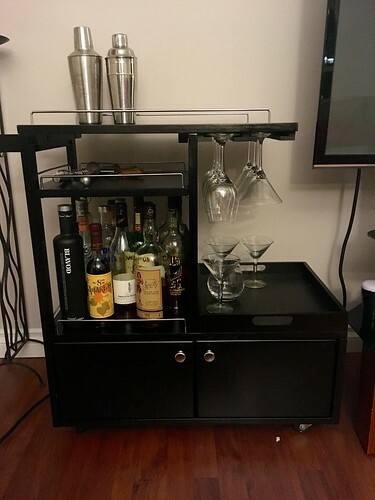 So we had to order a new one. But it was December and the mailbox making place was on holidays. So like a month later we got our new mailbox delivered…. and it turned out that half of it was defective. So they had to make another one. Well, after two long months of not getting mail delivered, we finally got a new, not defective mailbox installed last week! Hooray! 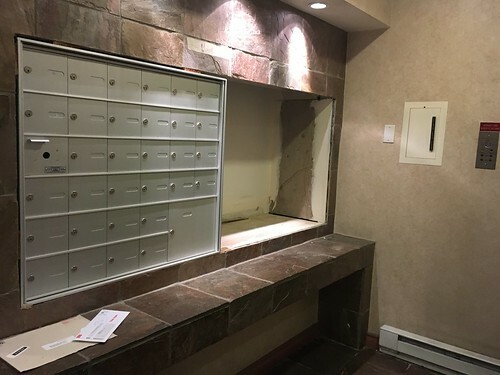 It turns out that if you have a b0rked mailbox, Canada Post holds your mail at a depot place where you can go pick it up during the extremely convenient hours of 10 am to 2 pm, Monday to Friday. Given that I don’t work in the same city that I live in (and hence where the mail depot is), I found this pretty ridiculous. 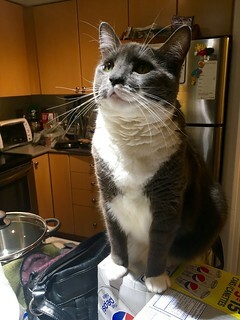 I managed to pick up my mail two times in those two months – once during my Christmas holidays (before l left for Toronto/New York), and a second time on Family Day (because it’s a provincial holiday, not a federal one, so federal employees, such as those who work for Canada Post, don’t get the day off). 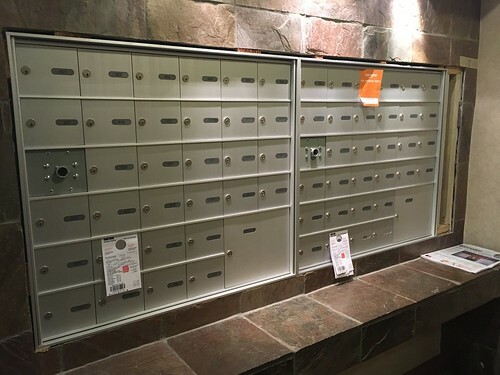 I talked to some people in my building who didn’t pick up their mail even one time for the entire two months! The whole ordeal confirmed for me what I’m sure most people know – mail is mostly irrelevant. When I did pick it up, my mail was full of RRSP statements (which I can check online anyway), pay stubs (though the money had already gone into my bank account, so I wasn’t too worried about it), and my property assessment (which I already checked out online). 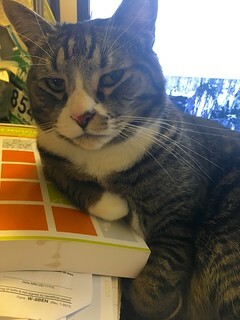 The only thing that I really even needed out of the entire two months’ worth of mail was a royalty cheque from my textbook – my publishing company is American and apparently it’s impossible to send money electronically through the US-Canada impenetrable border. I also got the notice for my strata’s AGM (which eventually also was sent electronically – one of the items on the agenda was how to pay for the new mailbox. lol! Also, now that the mailbox is fixed, my T4 slips are arriving, so I guess that’s a thing that I need to get in the mail (as only some places seem to have those online). Anyway I think what I’m saying here is that everyone should mail cool stuff to me now that I have a functioning mailbox again! When I asked “Does anyone even know we are having a provincial election in a few months” in the office lunch room the other day, I was met with one “I know, right?” and a chorus of “We are?” and “Really?” and one “I did not even know we had elections at the provincial level. I thought they were just appointed.” While that last one is an outlier of a response, the responses of surprise seem to be pretty widespread. This is probably because there’s been almost nothing in the news about it and no one seems to be campaigning whatsoever. I have’t seen a single lawn sign or flyer or anything. I mean, it’s not like I want a years long campaign like they have down in the states, but I feel like at 83 days and counting, I should be hearing something happening. I just did a quick Google search to find out the exact date of the election (to write that last sentence with the number of days left until the election) and found this article about how the opposition party (the NDP) have only nominated 58 candidates for the election that is, did I mention?, only 83 days away. Ok, now I’ve done more Googling and apparently the election period usually last only 51 days, so the writ won’t be dropped for another 32 days and I guess that means I’m totally jumping the gun on worrying about the fact that no one knows there’s an election coming up. I guess I’ll just have to sit tight for another month and see what happens. My Dad has been gone for five years now. How has five years gone by without my Dad here to tell a joke or tease me when the Leafs beat the Canucks or pick me up at the airport with a Tim Horton’s coffee in one hand and a sign that says “Dr. Snow” in the other? 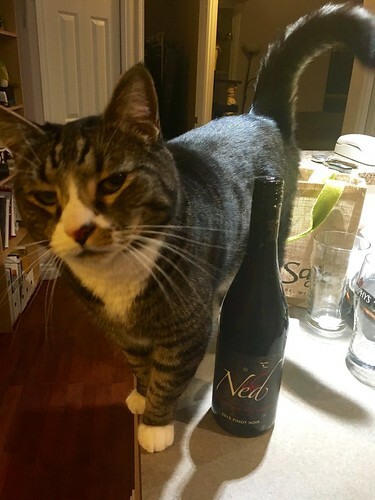 He never knew that I bought a home (he’d have been proud), that I got some cats (he would have been chagrined) and some frogs and fish (he would have been amused). 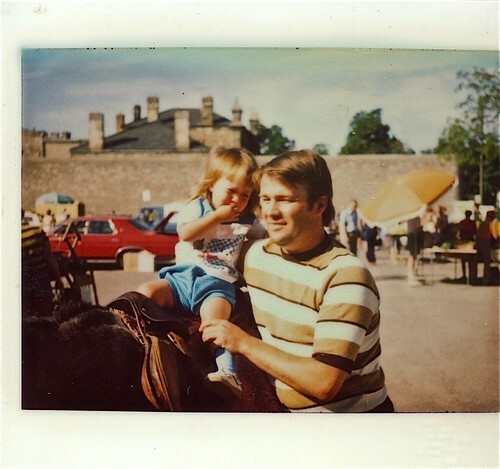 My sister and I have both long since finished the degrees we were just starting when he died1 and gone on to get fancy jobs that he would have proudly told about to anyone and everyone. He would have loved the antics of my nephew, who was only a tiny baby five years ago, and he would have loved the antics of my niece, who’s now nearly a teenager! 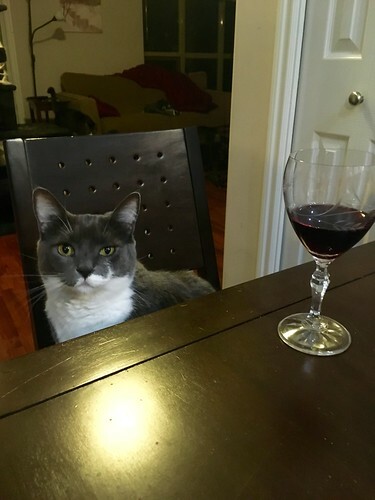 He would have enjoyed the tales of my mom’s world travels, which he wouldn’t have gone on himself, not being much of a traveller, but he would have wanted to hear all about it. Who knows what he would have gotten up to in his retirement, which he didn’t get nearly enough of after a life of working hard?